Kayla and I made it through our first week of school. It has been an adjustment for her not being with me all day. 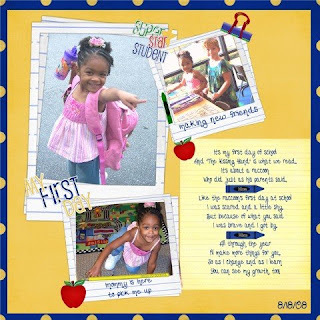 I am so proud of Kayla, she has been doing a good job in preschool.